If you're thinking that it can't possibly be time for Secret Recipe Club (Secret Recipe Club) reveal already, you're right. I usually post with Group A, but due to unforeseen circumstances, the Group B blogger assigned to Jane's Adventures in Dinner could not do it - so I got to step in! Lucky me - I am enjoying Jane's blog very much. Jane is a Canadian wife and mummy who loves to cook and even trained as a chef at one time. Then she discovered her love of teaching and became a teacher - a teacher who still loves to cook and feed everyone. Now she's got a small daughter and this blog full of amazing recipes and pictures to chronicle the adventures of it all. Don't those all sound yummy? 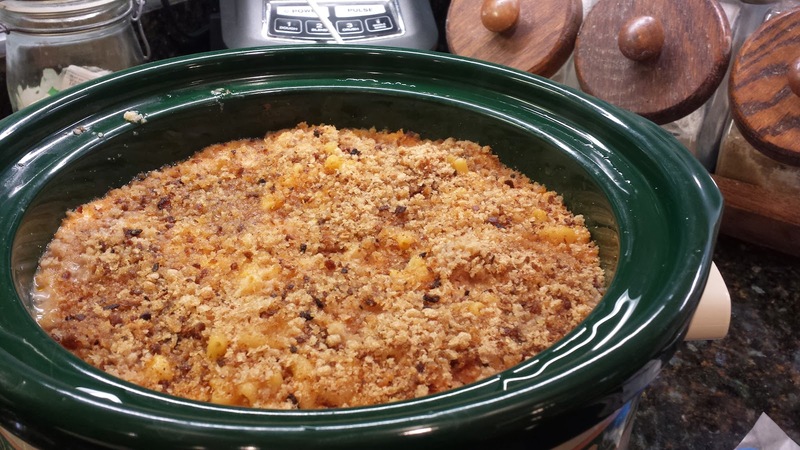 I finally decided on this Slow Cooker Mac & Cheese because I just had to see how it turned out. 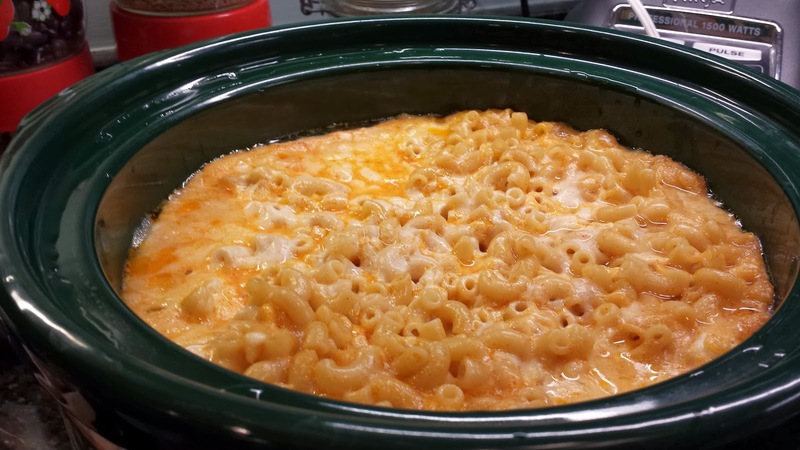 Mix the cheese and seasonings together, mix it together with the macaroni in your slow cooker, pour some broth and milk on top, and let it cook. Can it really be that easy? Yes, yes it is! 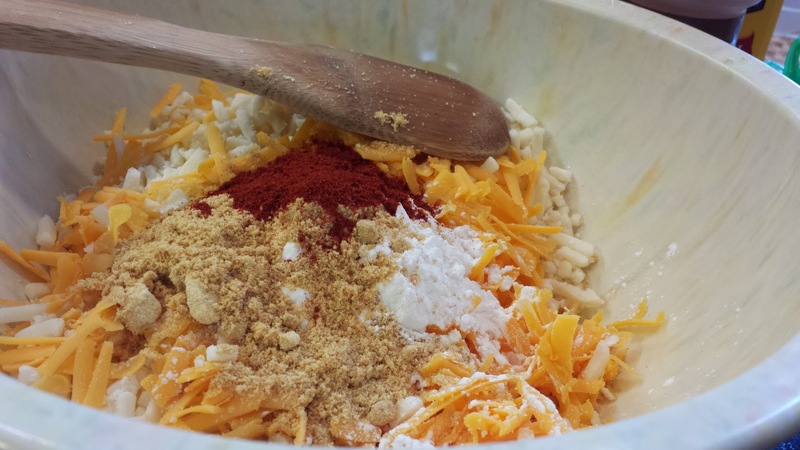 Mix shredded cheese, cornstarch, ground mustard and paprika together. Place pasta in greased 5-quart slow cooker and mix in cheese and seasonings. Pour milk and stock over the top. Cook on HIGH for four hours (at 3-1/2 hours, dot with butter and cover with bread crumbs). OR Cook on LOW for six hours (at 5-1/2 hours, dot with butter, cover with bread crumbs, and turn heat to HIGH for remaining 1/2 hour). This was perfect for dinner on a snowy winter's night. Comfort food at its best! I haven't had mac & cheese in ages - not since my kids were little, and then it was just the kind that comes in the blue box. This is better! And pretty much as easy. Jane says the key is coating the shredded cheese with the cornstarch and seasonings. So I did what she said. At the end I had Mac & Cheese! I ate way too much, and I still couldn't stop nibbling on the crunchy edges - though those might have been because I ended up cooking it for the full four hours before I added the topping, because I was out shoveling the driveway and didn't get back into the house. Nope, just checked the picture, and there were already some crispy edges. I really like those crispy edges. 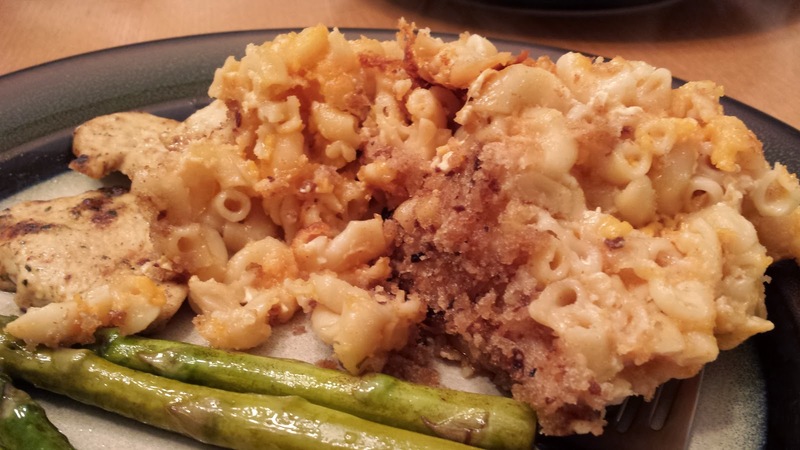 If you're not feeding a crowd, be sure to visit Jane's blog to see what she did with her leftovers. Me, I've been eating Mac & Cheese for lunch. I also had to try it with ketchup. I had never heard of such a thing, but Jane mentioned that she likes hers with sriracha but her daughter opts to dip hers into ketchup. Sadly, I have no sriracha, a problem that I must remedy soon, but ketchup is really good with Mac & Cheese. Who knew? Did you know?